Join us next spring for the trip of a lifetime. Once again our LAST MILE TEAM ventures into the lowlands and high Himalayas of Nepal to provide safe drinking water solutions to those in need. This two week adventure begins in the ancient city of Kathmandu before heading west into the fertile lowlands of the Terai. From there we'll visit corners of the country few foriegners ever see. Our small group of travelers begins this journey in the southern portions of Nepal along the Indian border. From there we travel north into the foothills of the Himalayas. 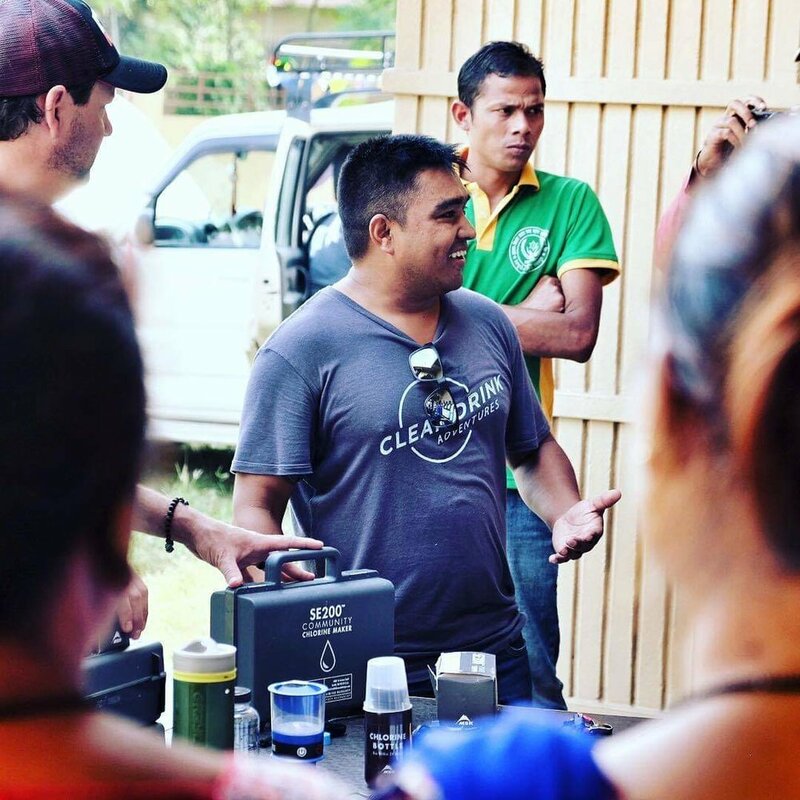 As we work our way into the deep river valleys and steep hillsides of the Rolpa region, we'll visit a number of remote villages to introduce them to the MSR SE200 Community Chlorine Maker. Each traveler will be supplied with their own unit and get the chance to deliver it, person-to-person, to village leaders. Our guide and translator, Vishu Sijali, will help facilitate the handoff. We continue to push eastward towards some of the highest mountains in the Himalayas, and the world. We'll end the trip in the beautiful lakeside town of Pokhara. Start to finish, we will spend a total of ten days on the road. The travel will be hard, if just because the roads and conditions are often challenging. The days will be long and full of mishaps and uncertainty. Adventure, as they call it. When we set out to access the remote corners of Nepal it was obvious a motorcycle was an ideal mode of transportation for the task. Nepal's roadways are horrible and worse than many "Jeep roads" in North America. Motorcycles can also maneuver around construction zones, slow traffic, herds of cows, and other hazards which helps to knock down the miles quickly. Each trip includes two SUVs. One for three team members, and one supply truck. The SUVs play a major role toting gear, but also items needed to get water systems integrated into villages. We rely on the SUV team to ensure the entire crew is sufficiently supported. We couldn’t do these trips without our team members in the truck. Day 1 - April 14 - All team members land in Kathmandu, some likely late in the evening. A driver will collect each team member as they arrive and deliver us to the Hotel Traditional Comfort for a nice rest in the center of town. Hotel fees are included in your trip fare. The Hotel Traditional Comfort is often a highlight for our team as the staff is like family. Day 2 - April 15 - We will spend the day in Kathmandu visiting the sites and getting rested from the long trip. This extra day is also helpful if luggage is delayed. Our friend and professional guide of 25 years, Susan Mannadhar, will give us a driving tour of the World Heritage sites in the city. She is an award winning guide and fascinating. This is a good time to get assimilated with Nepalese culture and stretch our legs. Kathmandu is a must-see and it is good to do on arrival. It’s always nice to be greeted by the locals in the Terai region of Nepal. The Tharu culture is vibrant and welcoming. Day 3 - April 16 - After a short 60-minute domestic flight to Lumbini, we meet Vishu for the start of our journey. He will transport the motorbikes to the starting point. The first day is short as everyone gets used to their motorbikes and riding on the wrong side of the road. It also takes time to get used to navigating around goats, kids, cows, cows, and more cows. 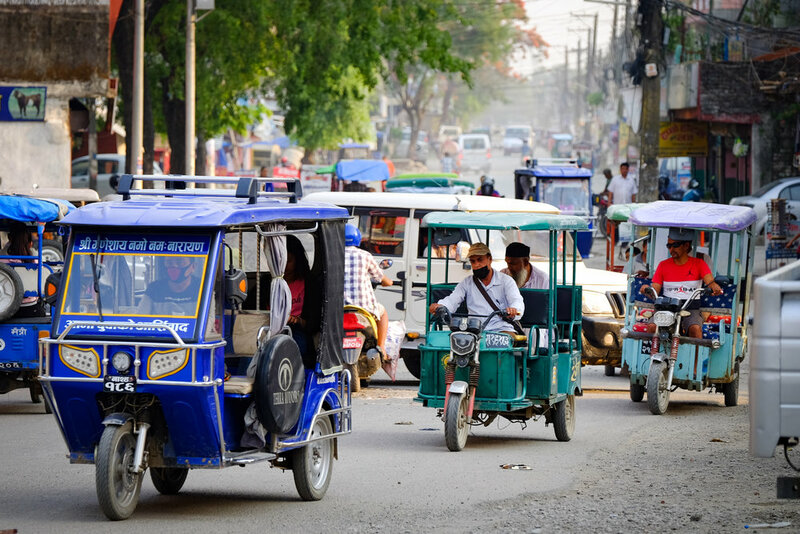 Day 4 through 6 - April 17 - 19 - We transition westward to the Banke district near the Bardiya National Park. This is the area most hard-it by waterborne illness and the center of our water initiative. This lowland area is heavily jungled and home to elephants, rhinos, crocs, and our last group even heard the low growl of a Bengal Tiger. Our accommodations for this leg of the trip will include a visit to a home stay community. These comfortable micro-hotels are an excellent way to quickly integrate into Nepalese culture. We intintionally use these resources to help stimulate the local economy. And, they’re clean, cozy, and fun. We spend two days in this area placing water systems in local schools and villages. This immersive cultural experience is the part of the trip you will remember forever. The people of Nepal are welcoming and superb hosts. Day 7 - April 20 - We begin our journey north with a special visit to one of our CLEAN DRINK communities. The small group home in Butwal is a highlight of our journey. There we visit our friends living in a small compound for people with disabilities and children without parents. Their cheery hospitality is good fuel for the rest of our travels. Day 8 through 10 - April 21 - 23 - These are exciting days on the road as we work our way higher into the foothills of the Himalayas. We slowly travel towards the mountain kingdom of Palpa before arriving in the terraced hills near Baglung and Beni. Here we camp by a raging river in one of the deep canyons at the mouth of the Annapurna region. The next morning we travel to the resort town of Pokhara. If possible, we will find other villages in need of water purification systems. In Pokhara we'll stay at a luxury resort and rest our tired bones. Day 11 - April 24 - On this day day we will enjoy a stroll along the lake front prior to our late afternoon flight back to Kathmandu and the comfy beds at the Hotel Traditional Comfort. Pokhara is a great place to relax, chill out in a lakeside cafe and drink banana lassis. Maybe take a paddle board out on the lake or take a dip in the hotel pool. Day 12 - April 25 - This is a good day to explore more of Kathmandu or take in a flight to see Mount Everest and the entire span of the high Himalayas. Our travels by this point will have been rewarding but taxing. Some people may elect to fly home this day as most departing flights are late in the evening. Although that is an option, we suggest an extra day as a nice respite before the long trip home. Optional Day 13 - April 26 - Most of the team will use this day as their earliest date to fly home. Adding an additional day isn’t a bad idea as it’s a long flight home and you will be quite tired from such a big week of adventure. *The above itinerary was carefully planned, but Nepal loves to foil a good plan. Please know that landslides, construction, and other variables may require changes, some of them significant. We will however maintain the start and end dates as well as the general theme of the trip. The details may require flexibility but we will always deliver the best experience possible. *Please note, we strongly recommend adding at least one day to the arrival time in Kathmandu to adjust for jetlag, and to provide a buffer for any unexpected travel delays. 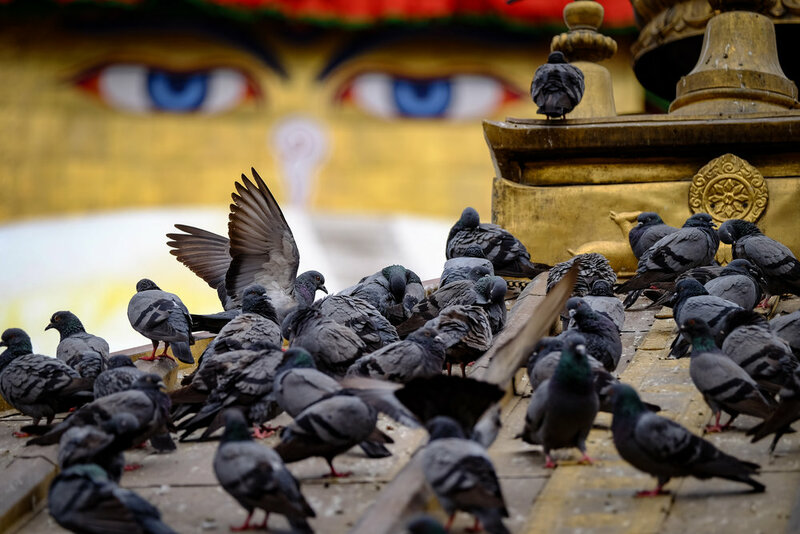 - Travel photography tour of Kathmandu ($75). * This fun opportunity requires an extra day added to your itinerary. You will be coached on the craft of capturing travel photos by a working professional photographer. To make all of this happen, we rely on the expertise of Vishu Sijali. The founder of Altitude Riders and Camp 7000, he has led trips for more than a decade. He has guided mountaineering expeditions to the summit of Everest, Ama Dablam, and other 8,000 meter peaks. He leads multi-week treks and has guided motorcycle rides in India and Tibet. He's very capable and nobody knows western Nepal any better. It's very important to Vishu, and to CLEAN DRINK, that we do our best to stimulate the meager tourism industry in Western Nepal with home-stays and home-sourced meals. We will camp in some areas because home stays can be hard to find and we don't anyone sleeping in unclean conditions. While in Kathmandu and Pokhara we will stay at two of the newest and most comfortable hotels in Nepal. Your comfort is our top priority. At times we will eat at local homes and small restaurants. We have instructed Vishu to be mindful of our health and to select our food options carefully. Stomach illness is hard to avoid. We have ways to prepare for it. Everyone needs to understand how remote this part of the world is. There is limited government help. There are few ambulances. You cannot have an accident. You cannot have an accident. We have professional rescue services in place in the event of an emergency and require all team members to purchase travel and rescue insurance. The official opening day to book your spot on this trip is November 1st. Spots usually fill up very quickly, so be ready. Please consult the Terms and Conditions page before committing to a trip. Our recommended airlines go through the Middle East. We suggest Etihad and Qatar, but all will work and we can help with booking. It is advisable to check with your doctor about vaccinations. Please get malaria prevention medication as we will be near the lowlands of India. Make sure you have 6 months left on your passport expiration beyond your arrival date. THE LAST MILE TEAM PORTAL: Once team members are officially signed onto the team, you will be given access to the LAST MILE TEAM PORTAL. This online resource includeds more than 30 informative blog posts about the project, traveling in Nepal, and preparing for the trip. You will be well informed, long before you board the plan. To help streamline our fundraising efforts, we have partnered with MSR Global Health and our fundraising campaign is hosted on their website. We will help every team member meet their target goal. Some may want to reach far beyond the $750 target. Clean Drink will help you hit your goal, but it is imperative we have the funds needed to help the people of Nepal. 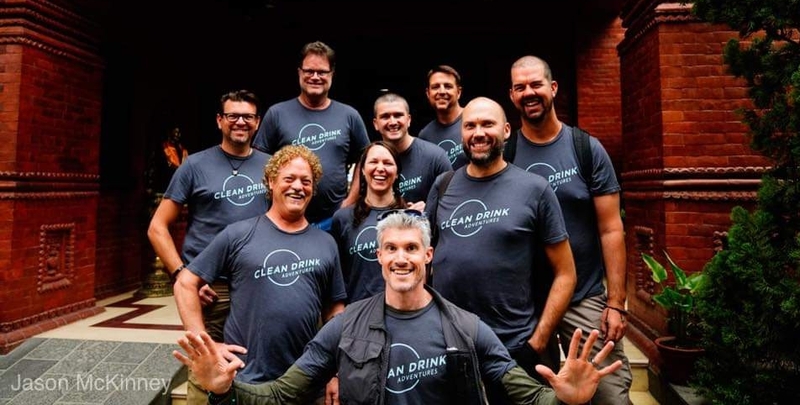 Official booking requests must be submitted on the CLEAN DRINK LAST MILE TEAM form which will be made available on the day booking opens. To be notified of that date in advance, it is advised you complete the pre-booking LAST MILE TEAM FORM. 2) Fill out the booking form immediately on or after the booking opens. The booking form for this trip will appear on this page. 4) Secure your spot with the payment of a deposit.